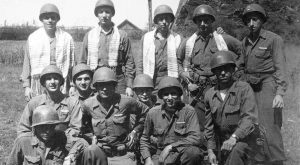 Congratulations to GI Jews: Jewish Americans in World War II for winning the 2018 Audience Choice Award! The Jewish Film Festival of Dallas provides a window to the Jewish experience and allows us to explore contemporary and historical themes in many different global settings. Some films will make you laugh and others will make you cry…all will provide you with a life lesson. In our 22nd season, we are delighted to present ten compelling films during the month of September. After many of the films we will have a Talk Back with an expert on the subject matter at hand. The intent is to enhance the viewing and learning experience for our audience. Student tickets available for $10 (with student ID) at either the J or the theater prior to the event. 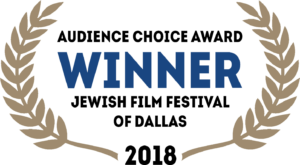 Each year the Jewish Film Festival of Dallas will award a cash prize to a young filmmaker that shows merit in creating a short film containing Jewish content or theme. The winner will be chosen by a select committee after an application period for entries. More than one award may be given depending on number of applicants and value of works submitted. For more information, please contact Producer Rachelle Weiss Crane at rweisscrane@jccdallas.org.